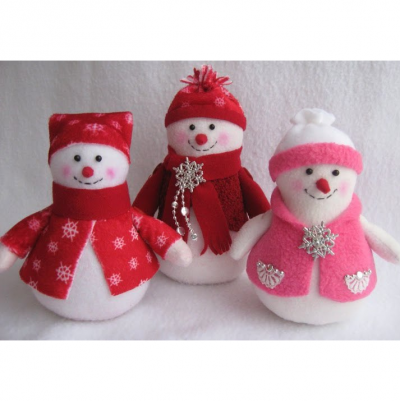 Let’s look at how to make such wonderful snowmans out of fabric. 1. 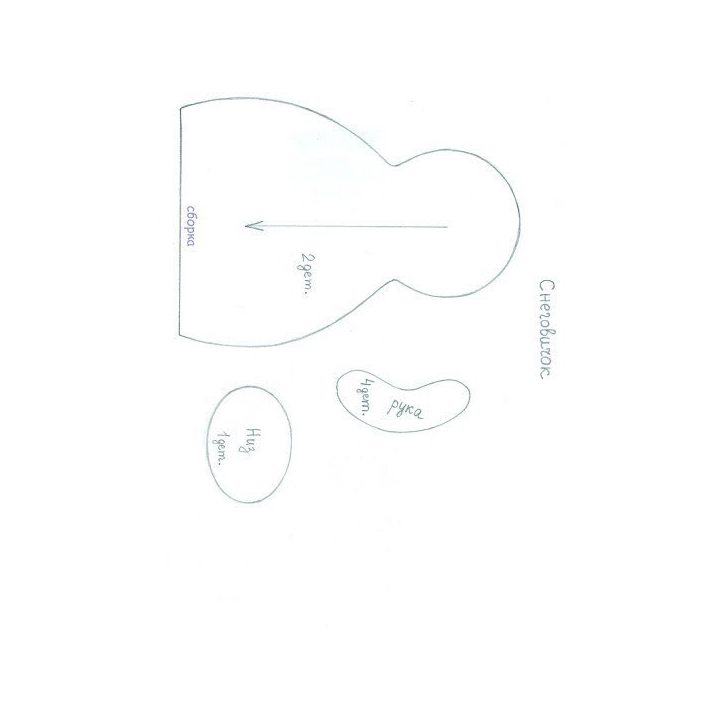 Copy these samples, cut, drag onto the fabric and cut out the right amount of parts: 4 hand parts, 2 details for the Snowman base, one for the bottom (the number is written on the samples). 2. Sew the details with small stitches and stuff them with padding, so our snowman of fabric will become steady. 3. To make eyes, use English pins or buttons. Also make a few stitches with a red thread to make your mouth. 4. Now we can decorate the product. For a snowman of fabric can make a scarf, which is easy to fix with glue, also to the place will be a beanie with pompoms. 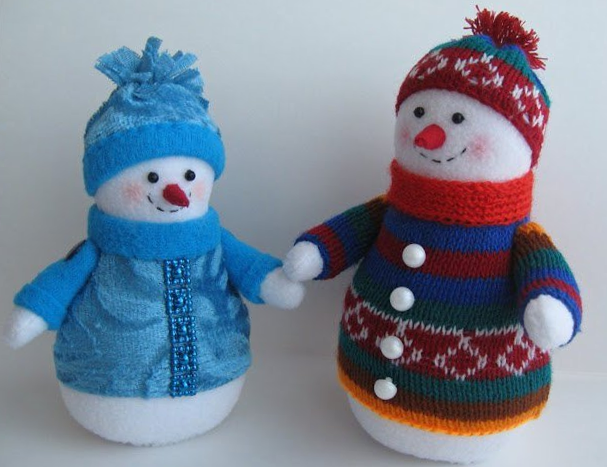 It is interesting that they can be made of socks:) By the way, the snowman from the sock also turns out very cute.